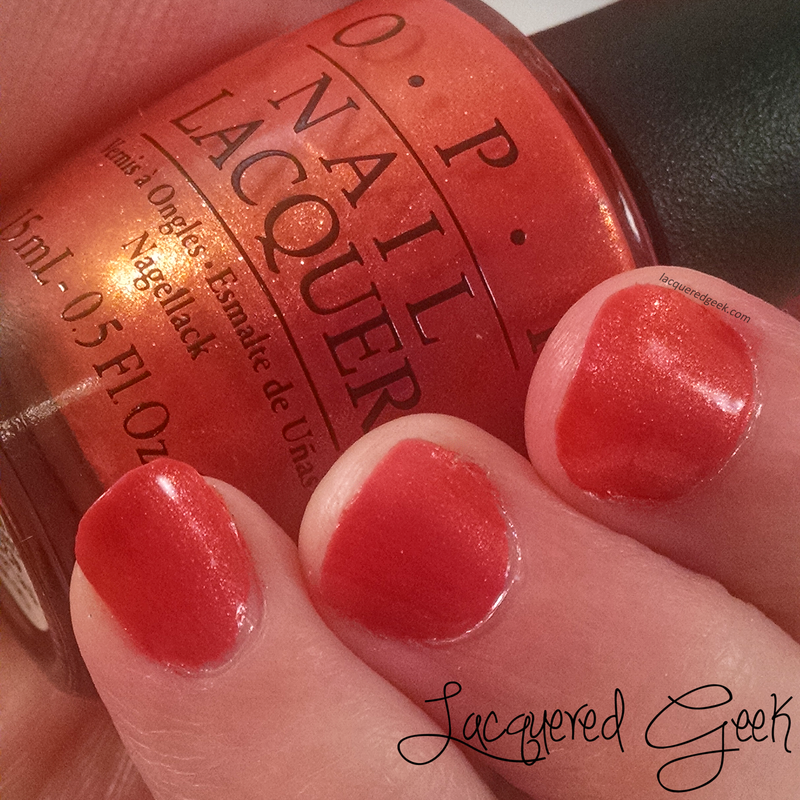 Lacquered Geek: OPI: Go With the Lava Flow and That's Hula-rious! I started to edit the photos that I took this past weekend, and realized that I still had a few that I had not written a post about. Since they were already edited and everything, I decided to just use them rather than redo the photos. 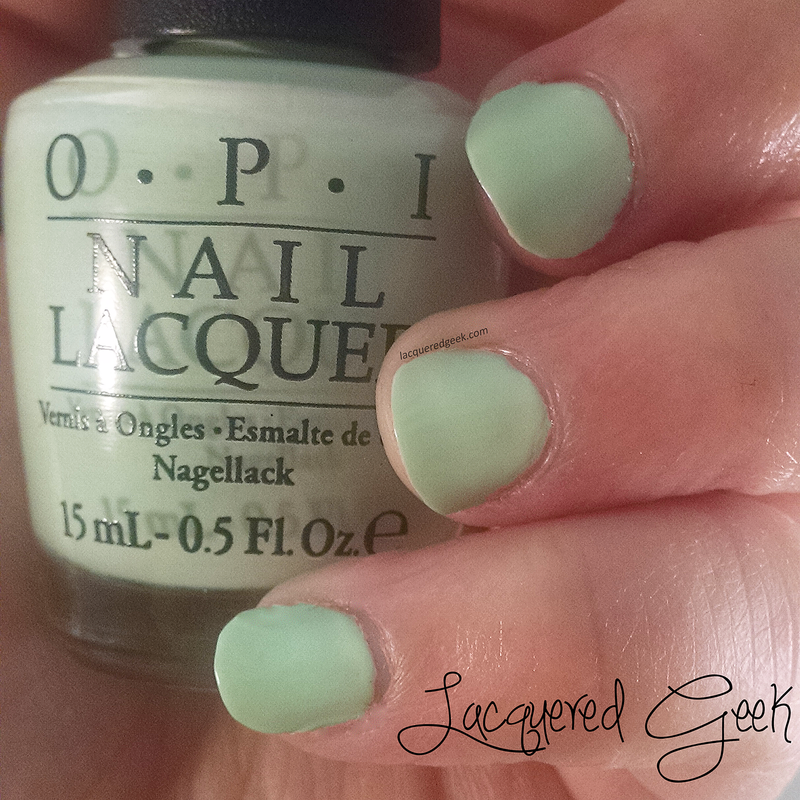 When I first heard about the OPI Hawaii collection, I was excited about the colors that it would contain. However, I guess I've gotten pickier about mainstream polishes, and ended up I only picking up 2 colors from the collection - Go With the Lava Flow and That's Hula-rious! 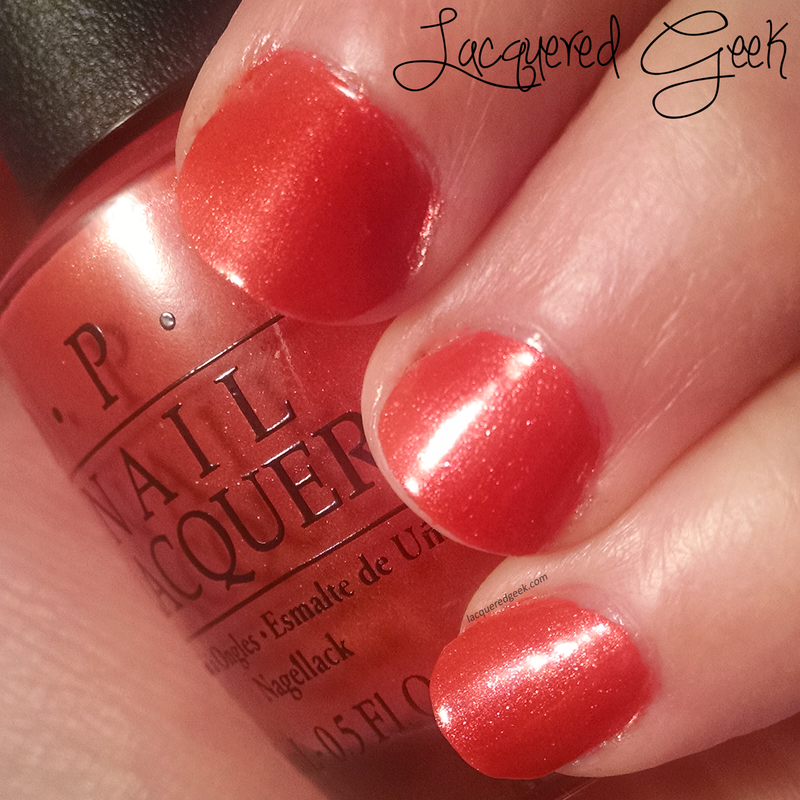 Go With the Lava Flow is fiery red-orange shimmer that really does remind me of photos of lava. The shimmer was subtle in soft, indirect light, but came alive in the sun. Unfortunately, I was not impressed with the formula. I found it very thin and hard to control. If I wasn't extremely careful, I would end up with some serious cuticle pooling. For these photos, I used three super thin coats. That's Hula-rious! 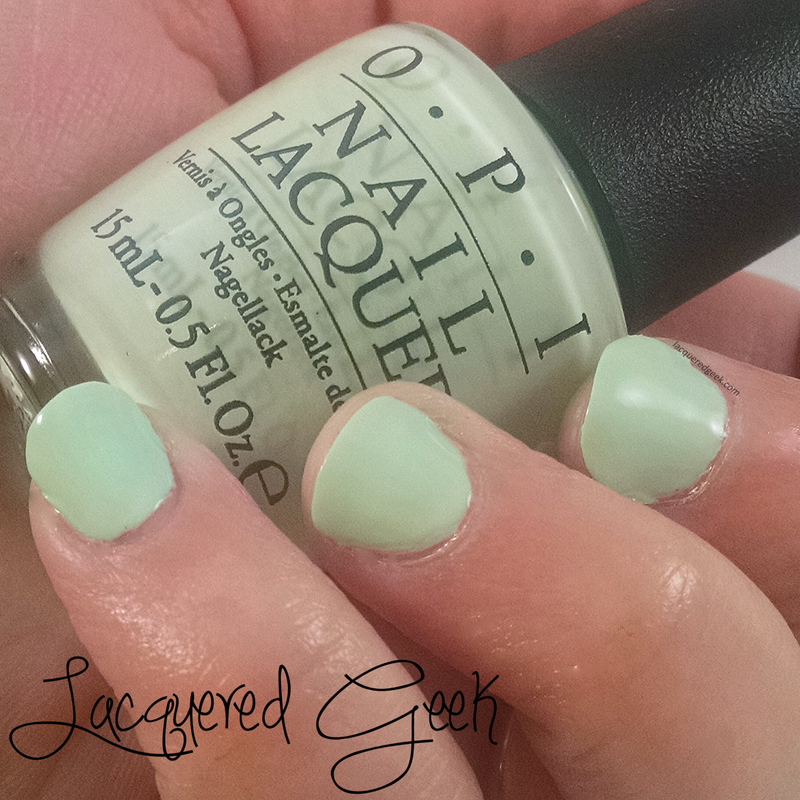 is a gorgeous minty green creme. It isn't a terribly unique color, and I am sure that I have some "similar not the same" shades in my collection. 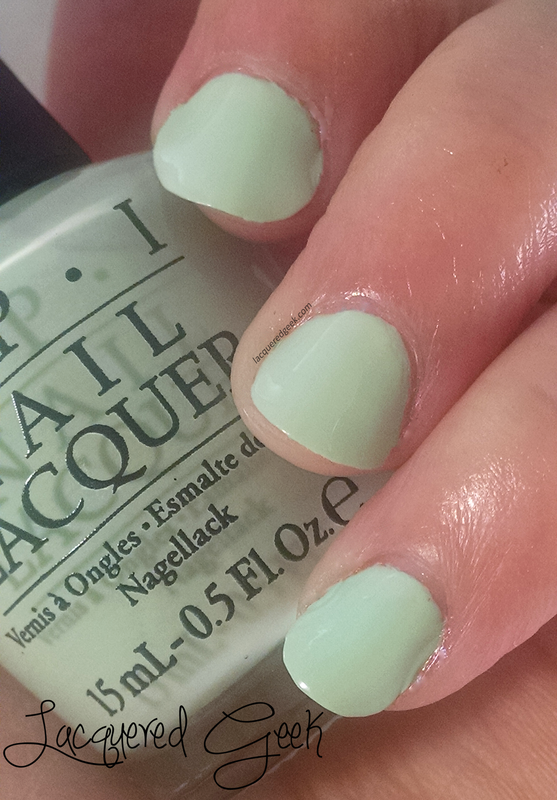 Luckily mint is a popular color right now so at least it's on trend! The formula on That's Hula-rious! was so much better than Go With the Lava Flow! I used two coats for these photos. I had a little balding and pulling on the first few nails but I think that was because I was expecting the formula to be thin and runny like Go With the Lava Flow. The second coat evened everything out though! 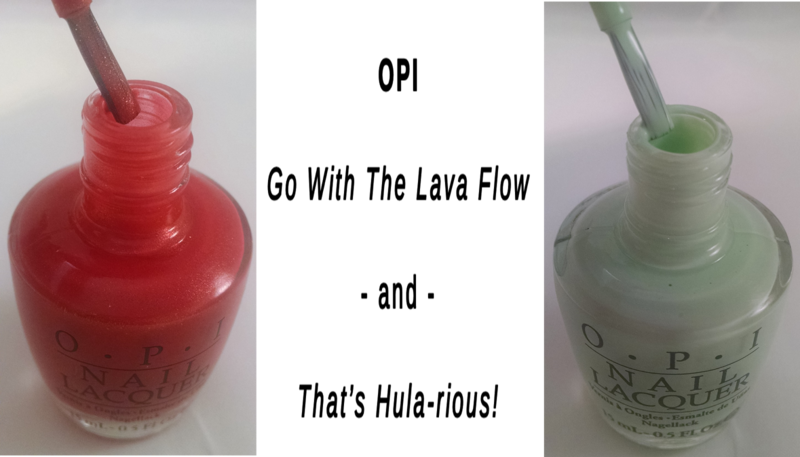 Overall, I am pretty happy with these two polishes. 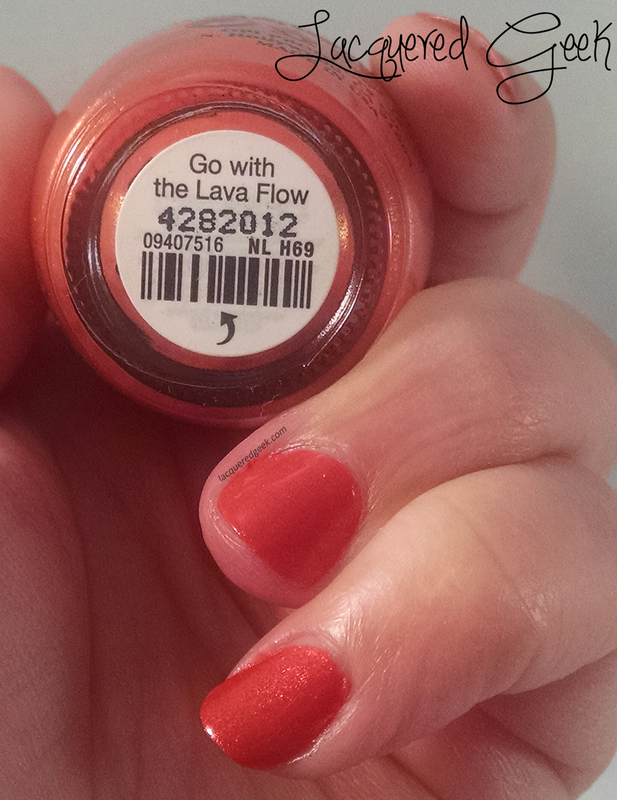 The pretty shimmer in Go With the Lava Flow makes up for the iffy formula now that I know to be careful when applying it, and even though I have some similar colors to That's Hula-rious!, its formula is much better than those! 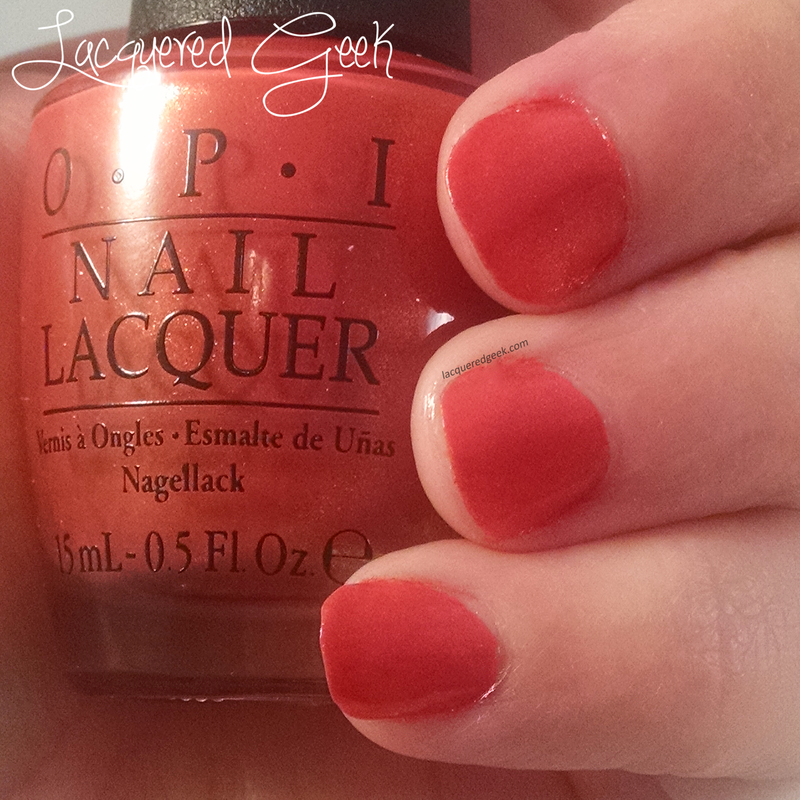 The OPI Hawaii Collection can be found at many salons and some beauty retail stores like Ulta and Sally's Beauty. Have you picked up any of the colors from this collection? Do you have a favorite?